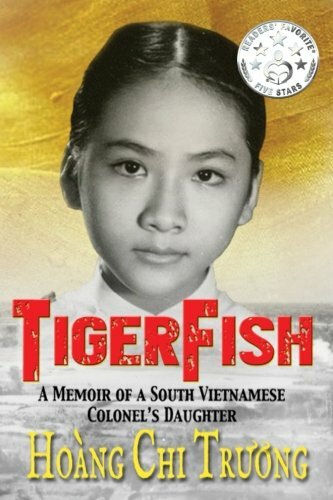 Join me in celebrating my memoir TigerFish First Birthday and also the Asian Pacific American Heritage Month (APAHM) in the month of May. What better way to celebrate both with my first commencement speech as the keynote speaker at Fresno City College for the Asian Pacific Islander Celebration of Success on Saturday, May 12th, 2018. Good morning everyone. Thank you, Tchay Her, for your kind introduction. It is an absolute honor to be here today for the Fresno City College Asian Pacific Islander Celebration. At the outset, I want to give you my most heartfelt congratulations for this memorable milestone that you've worked hard, made sacrifices, and earned your Associate Degrees or Certificates fair and square. But no less important, let's also acknowledge your support group of family and friends, without whom your journey would have been more trying or nearly impossible. Today, I am honored and deeply moved to be here to celebrate your successes with you. You see, Fresno City College and I, we have a history. At seventeen,, upon graduation from Hoover High School in 1979, I took a beginner's swimming class here. Fast forward, in my late 40's I competed in a sprint triathlon and swam a one-half mile in open water. Fresno City College. Asian Pacific Islander Celebration of Success. 2018. Again, here at City, I took US Government as a General Ed. for Fresno State after being in America only a few years, barely speaking English but learning the constitution. I also took Trigonometry as the prerequisite to Calculus at Fresno State, and of course, as fate would have it, I also enrolled in Speech class on this campus. Not only that I've taken classes here, but I also feel like I owned these tennis courts. I spent countless hours, practicing against the walls, played singles and doubles after schools, summers, and weekends with my siblings and friends. It's safe to say that I was intimately involved with this campus once upon a time. Standing here today at your important milestone, I’m challenging you to thank the people in your life who have helped make this day happen for you. In my case, it was my parents, but I would also like to thank the kindness of perfect strangers who have made a difference for me, between life and death, failure and success. It begins with a kind-hearted US Diplomat vouching for our family to come to America at the Fall of Saigon in 1975 as his family. Next, I’m thankful for the congregation of Bethel Lutheran Church who sponsored my refugee family to Fresno and saved us from the first failed sponsorship in Wyoming where the situation turned into unfortunate and involuntary servitude. Because I had a chance of a new life and my slice of the American Dream, my mission is to advocate for other refugees and immigrants like me, to speak up for those who do not have a voice, as I’m doing it now through my books and lectures. In our first year in Fresno, we lived on the south side of town near Belmont where the weekend cruising scenes raged on until early mornings. We attended schools with no language resources specialists for Vietnamese as we were the first waves of Vietnamese refugees. We didn't have translators, bilingual books, and we definitely didn't have ingredients for our traditional food, or clothes that would fit us. We had to do the alterations ourselves or make clothes to fit. We had only a few Vietnamese families to be friends with, and Chinatown was the best place for grocery albeit lacking. In schools, at 13 years old, I was put in 6th grade because of my English deficiency. The pastor and teachers changed my name into something they could pronounce, not using my rightful name. Kids still made fun of my new name because ChiChi apparently was the nickname for a woman's anatomy in Spanish. I finally made it to Hoover High School after one year at Tehipite Jr. High, then graduated from Fresno State in 1984, nine years after being in America, and I got married to my high school sweetheart. I began my career, started having a family. I carried on with my life methodically in the traditional stages of college, marriage, career, then family. I encountered and overcame many cultural clashes and challenges, and family disapproval, being a Vietnamese woman marrying a Caucasian in the early 80's when it was an anomaly. I came from a privileged class in Vietnam, fallen to the lowest denomination in America as a refugee in 1975. I felt like I had to learn how to walk again at thirteen years old. Even though I'm now relating my personal refugee experience, it's actually a universal story about all of us who are Southeast Asian refugees and immigrants of first or second generations, though through no fault of our own, are having to grapple with our ethnicity and identity as we navigate socially, educationally, and economically in a new culture in America. I didn't have a playbook or mentors who are well versed in both cultures to guide me on assimilation without betraying my own culture, disloyal to my family traditions. I struggled to fit into the pop culture in highschool and college. During my period of acculturation, I looked to the many Vietnamese proverbs for guidance because I frequently felt ashamed of being a refugee, of being Vietnamese and wanted to take on a new identity, one that would get me respect and be popular with kids at school. There were two of which kept me on track, and they ring especially true today for this commencement speech. I will say them First in Vietnamese then their meanings in English. And the second one in Vietnamese, "Có chí thì nên" which means, when there's a will, there's a way. For the first proverb, choosing friends and circle of influence is difficult for us. As immigrants and refugees, we don't have the social capital and business network from our parents like those who were born here. We don't have the money to live in affluent neighborhoods with high achieving schools or private schools. We have to make choices to stay out of trouble and friends who might get us into harm’s way. So, choose mentors, seek help from teachers, pastors, or family friends. Seeking help is vital to our success. It's not a sign of weakness. Not practicing self-love and self-respect is. So take advantage of those professors' office hours and the mentorship programs. No one knows everything, and without getting the help that we need, we are sabotaging our future. For the second proverb, when there's a will, there's a way. Stay determined and persistent, but be flexible and adaptable to survive. These are the traits of Darwinism, the survival of the fittest. So stay flexible, adaptable, and coachable. Put your pride away and learn from others who have gone before us. Fast forward to this decade; instead of being ashamed of my background, I am reclaiming the word "refugee" and advocating for those who are going through what my family and I had to endure in the 70's, 80's, and 90's. My parents were physically accosted in their neighborhood while out taking their daily walk by two young, able-bodied caucasian males, giving them hate speech that they didn't belong in that neighborhood. And yet, we persevered, and we conquered. Collectively as Vietnamese and Southeast Asians, we have our success stories because we didn't ball up in the corner and gave up. My parents raised me to be pragmatic. They wanted me to pursue a career that I could support myself, not depending on my husband for my livelihood, partly because my mother wanted this for herself and couldn't because of the circumstances of the war in Vietnam. They discouraged me wanting to be an artist or writer because, in their views, these were things I could do on the side, as a hobby. As children of immigrants and refugees, I'm sure that this is a common theme. But I listened to them, and now, after a fruitful career in Information Tehnolog in private sector and State Government, I willingly and intentionally choose to be an author and illustrator of my own books full-time. I hope that you see a theme emerging here, that everything that we do is a building block for our future stages in life, to achieve our dreams, our passion, and our mission. Just because your dream has not materialized in one year, it does not mean that it won't five or ten years from now. I wrote my memoir twenty-six years ago to record my family history and only published it last year because it was a timely, imperative and relevant message in today’s political climate, to share what it means to be a refugee. I first learned how to swim at seventeen and did a sprint triathlon in my forties. We can live out our dreams in stages. Our achievements and successes have their appropriate time and place on the time continuum. Stay with your thoughtful plan, have grit, and you will see it to fruition. Don't rush. Every fruit has a season. As someone who came of age in America in the 70's as a refugee, I trailblazed for my younger siblings. I was the first one to graduate from Fresno State, the first to marry a Caucasian American, the first to race in a triathlon, and the first to publish a book. I will continue to leverage my privilege to speak out for the refugees and the immigrants. I have the responsibility to impart a few words of wisdom from my experience thus far in America to those who arrived after me, so they could benefit from my failures and successes. 1. First, thank at least three people who helped make your associate degrees or certificates happened today. We are not an island. We are in a community, and our success is the community's success. Someone has paved the way for you, and you've had their guidance. Good manners pay high dividends, so write the old-fashioned thank you notes. Later in your professional life, like starting tomorrow. Pay it forward and help another person who was once in your shoes. 2. Second, be the next trailblazer, in small or splashing ways, but stay engaged and participate. We need to do much more for social justice and equality for all in our community. Ask yourself, if not me, then who? Remember we once wished that someone would give us a much-needed break. Do that for someone. We all have privilege. I challenge you today, to leverage your own privilege to elevate others who are less fortunate than you and serve your community. Be that someone who makes the difference in one person's life. When you see someone who's new to the culture or schooling systems and look lost, be that person to give them a hand. If not you, then who? The mentality that if I can do it so could they is dangerous. We are not born into the same circumstances and attributes. Someone took a chance to help us, and it's time that we support the next person. Altruism is not a zero-sum game. If you helped someone else, the social justice pie doesn't shrink. It expands, and everyone wins. 3. Personal and Professional growth will feel uncomfortable but face your fears, to achieve your dreams. Continue to raise your own goals and expectations. Make it S.M.A.R.T. It’s an acronym, and I will spell it out in this next story. 4. Next, commit this motto to your memory: five minutes early is on time; on time is late; late is unacceptable. Make this your lifelong habit, and it will set you apart, and ahead of your competition. 5. Always show up in life and be prepared. It's easy for me to say, Nah, I'm just going to sit in my PJs all day long just because I could. Besides, public speaking is downright scary. But instead, I'm here in the presence of your awesomeness and prepared to congratulate you as I share my personal refugee experience. As someone once said, 80% of success in life is showing up, and the other 20%, in my opinion, is being prepared. So show up and take a chance. Many doors have opened for me because I showed up. Be prepared for participation and engagement with an opened mind. I was nervous each time I took a chance, but I've also given it my all, and I've succeeded. In the process, I became more confident each time, instead of fearing the social unknowns and the perceived judgmental public. 6. Remember that nothing goes to waste. Those thankless jobs, laboring hours that you thought were needless and loathe doing? They were the vital stepping stones that helped you get here. Keep this glorious moment etched in your mind to give you forward momentum in future endeavors. Hard work at the moment may not seem like they are helpful in the broad scheme of things, but it does. Your being here is a testament to that. 7. Above all, respect yourself, you have the power and permission to succeed, no one can put you down and demean you without your consent. If I listened to naysayers, I wouldn't be here today, and definitely wouldn't have written and published my two books. Be gentle with yourself should you ever fall. Just pick yourself up, dust yourself off, and soldier onward. You have places to go, things to do, goals to accomplish. Don't get bogged down or sidetracked. Keep moving while you have momentum and rest when you are tired but never, ever quit. You and your family have come too far, given up too much for you to ever quit. Be a role model for the next generation, the next door neighbor, or a friend. 8. Read books. They are still your window to the world, a rich and compassionate world that challenges and broadens your thinking. I remember wishing for books, pencil, and paper in the refugee camp when none was available. So take advantage of your library resources. They have the answers and clues to your life's challenges and mysteries. 9. Talk to anyone who would talk to you. You'll be surprised of the people that you'll meet and how much wisdom that they will impart. Be thoughtful and kind to everyone not only when it's convenient but because it's the right thing to do. Also, wouldn't you kick yourself if the person you dissed at a 7-11 turned out to be the interviewer of your next dream job? 10. One word to the wise, and, please learn from my mistake. Teach the next generation your native language. 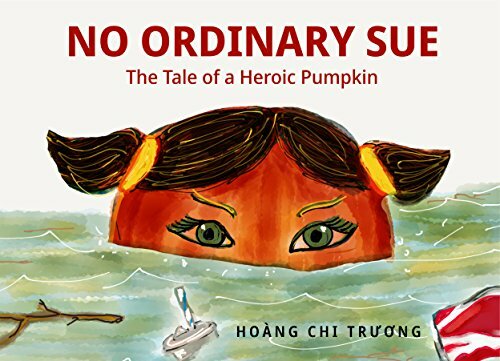 One of my missions as an author is to write and publish bilingual children's books for parents and their kids, bridging the cultural and literary gaps that I experienced with my children. There is a resurrecting sentiment of anti-immigrants and refugees in today’s public discourse, and an emboldened suppression of ethnic pride, thus we must rise above these protests to preserve our cultures and identities. And remember, we don't know what we don't know yet, so be patient not only with yourself but with others who are not quite at your level of understanding. Congratulations, you've just frittered away 15 precious minutes as my captive audience. You have persevered, sacrificed, showed pride and discipline, and you have earned your degrees or certificates. Attending College is difficult in the best of circumstances, but it's been a lot more harrowing when you had to overcome the language and cultural barriers. You had to straddle and negotiate two cultures, the one you came from and the one you've been living in, and many of you are the first one in your family to achieve this phenomenal accomplishment. So pat yourselves on the back and celebrate your success. It's a pretty big deal! It's been an honor for me to be back here with you at Fresno City College this morning. Thank you for sharing your milestones with me. Here's my most sincere and heartfelt congratulation to every one of you, and your families. Apr 25 On One Year Published and Minimalism!